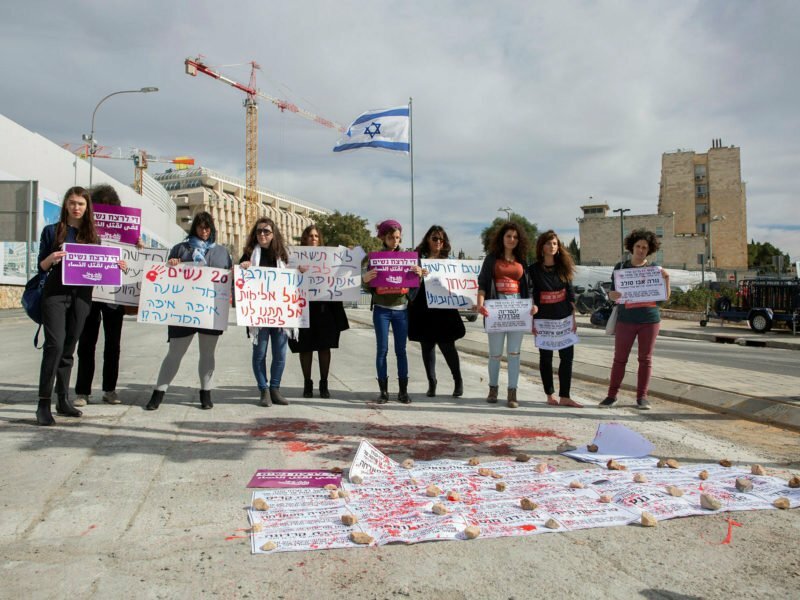 At least 30,000 people, participated in a rally against domestic violence at Rabin Square in Tel Aviv Tuesday evening following a nationwide strike called after two teenage girls were murdered over the past month. “We are here in your name and for you, the women who suffer from violence at home and can not stand with us here today,” said the rally’s organizers Ruti Klein, Stav Arnon and Dror Sadot. “We are here for you the women who lost their lives in vain. Tens of thousands of men and women blocked junctions through the country and stood for 24 minutes to honor the 24 women killed in domestic violence so far this year. “This is proof to those in power that we, women, who make up 50.7% of the population, are a force to be reckoned with. We can be ignored no longer,” the organizers said. The rally marked the culmination of a day of protests against domestic violence.